Tom, one of two life members at Fairfield, is moving interstate. Over his decades with Fairfield he has helped put our Canoe Club in the forefront of the canoeing community. 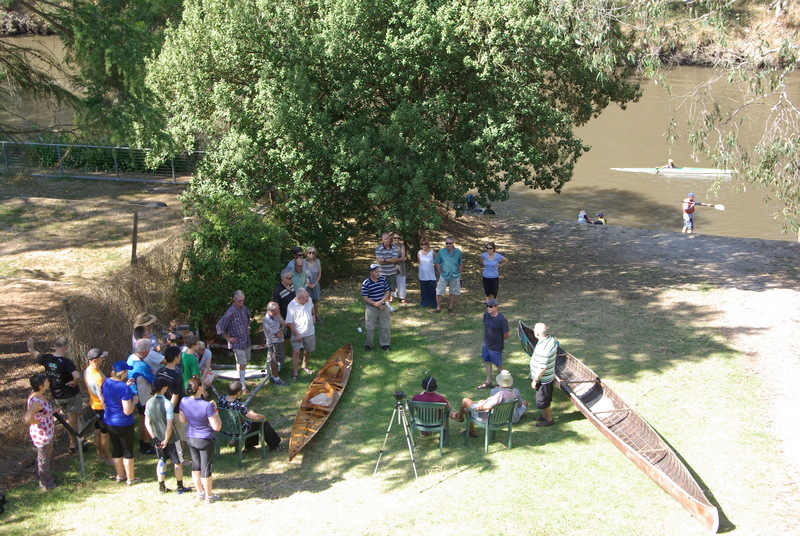 To celebrate Tom the Canoeist, for his contribution and the history he has helped create we had a few drinks and nibbles on Sunday 24th February. A great crowd turned up to thank Tom, to name a C4 "The Ohman" and to gratefully accept a magnificent timber k2 from the 1956 olympic era. Photo: Top: Club members listen to Board member Mick Kane introduce Tom Ohman. Second: Zack Ohman, Alex James, Peter Ohman and Tom Ohman next the newly named "The Ohman" C4. Jim Smith, Peter Ohman, Alex James and Tom and Zack Ohman.